Warner Bros. hasn’t yet officially announced the upcoming Batman game BUT that hasn’t stopped information coming out in Italy today. 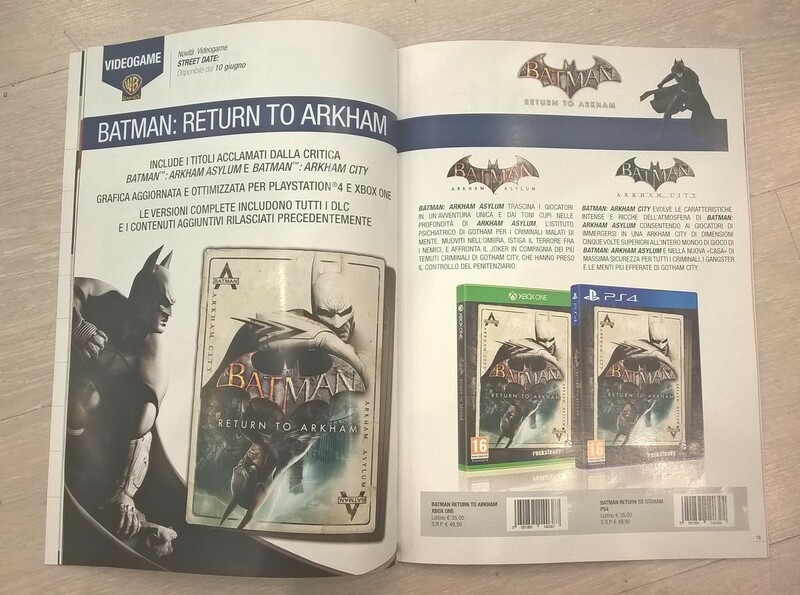 A box art image for Batman: Return to Arkham was leaked via WB Games Italian Magazine. It also says the release date is 6/10/16. 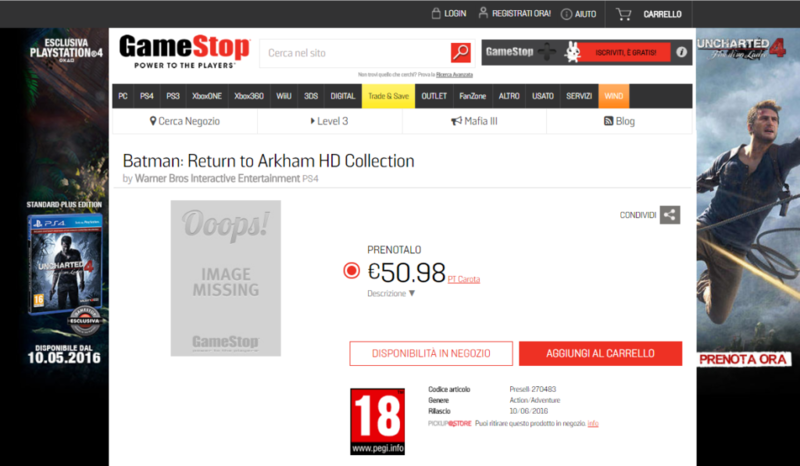 As you can see in the image the game will also include remastered versions of Arkham Asylum and Arkham City. GameStop’s Italian site also has it listed as a pre-order but they have it set to release 10/6/16. We are hoping WB Games will confirm this soon, especially if the June release date is accurate. They have not commented so far. Fallout 4’s Far Harbor DLC Releases 5/19 – Here is the Trophy List! The Division DZ Safe Room Vendors Have The First Wave M1A Blueprint +More!